I’ve wanted to read this for a LONG time (since childhood, due to my name) and one of my groups finally picked it for October. Reading it now means I’m a bit ahead of my current reading schedule – oh well … it feels good. I know the gist of the story, I know that it’s satire written in and about the early 19th century in England. 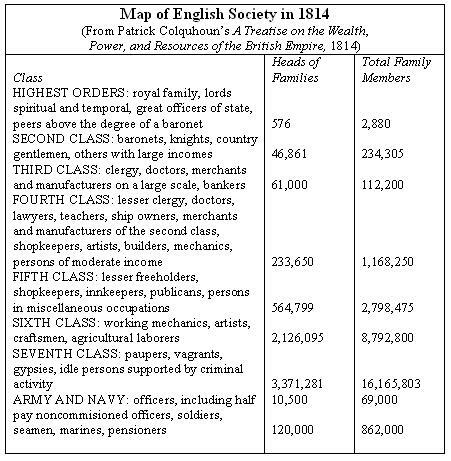 This is the time of Jane Austen and because it was written then, the author feels no need to explain society to us. 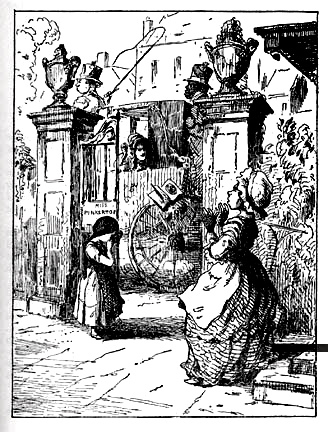 We, reading in the 21st century, have to do a bit of research to “get it.” But it wasn’t quite historical fiction when Thackeray wrote it – his readers in 1849 probably remembered the 1810s, or had access to folks who did. In the first pages we meet Becky Sharp, our protagonist, who is the “sharp,” 19-year old orphaned child of talented artist who was also a poor drunkard, and his wife. Becky has been living at Miss Pinkerton’s school as a kind of good-will to orphans thing, but she’s been released to serve as a governess in the home of a gentleman’s family. She was released in part because she is mouthy and stands her own ground with the powers that be – also she hates the school. On the way she is to her new position, she is to visit the home of a school friend, Amelia Sedley and her family. Amelia is her very nice friend – just a sweetheart, really. Loving and gentle and willing to help her friend. The perfect foil to Becky. Becky pretty well knows she’s on her own and that it might be wise to find husband – preferably wealthy. Amelia, on the other hand, has the privileges of money and a good family which will assist her. It appears that Amelia’s brother, Joseph, a well-to-do Civil Service man just home from India, will do nicely as a potential mate for Becky, so she begins her plotting. Joseph Sedley is outwardly quite shy, but internally he’s seriously vain and arrogant. He’s also a fat and lazy drunkard. He finds it hard to believe someone would find him attractive (and Becky really doesn’t but she lets on differently). Image scanned by Gerald Ajam and captions by Tiaw Kay Siang and Sabrina Lim.sometimes African origin. Thackeray has a rather unusual way with the narrator voice and presence – I totally enjoy his little twists and his point of view. He starts out as a simple third person telling the story of how Becky Sharp got out of school and into Amelia’s home. But then he switches into a bit of an intrusive little guy, telling the reader how to interpret something or what the options are, etc. And on page 20 he goes into second person reader voice …. “Now we have heard how Mrs. Sedley…” This is great – he’s a character in the book for sure – this might even be a form of 1st person narration. After falling in love with Becky Sharp, Joseph Sedley makes a complete fool of himself, is told off by his friend and cousin, the snobby George Osborne, and leaves town. With the help of the servants the family figures it out about Becky and she is asked to continue her journey to her governess job. 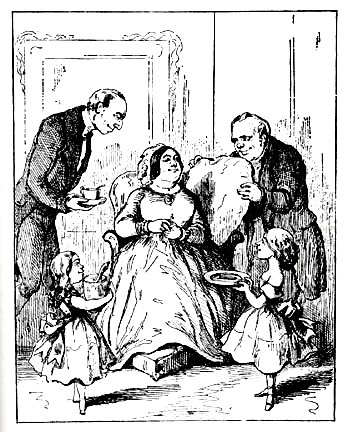 Another character introduced in these chapters is William Dobbin, a poor but very nice school chum of Osborne’s. I suspect we’ll hear more from or about him. The four major characters in the book are these – Becky Sharp, Amelia Sedley, Joseph (Jos) Sedley, George Osborne and William Dobbin. So Becky lands at the very highly placed Crawleys and finds that Sir Pitt, a Baronet and the master, is a miserly soul who does not even share his meager dinner with her. He files lawsuits to gain property, whips small boys playing in his woods and is generally very mean. He is also very rich. And here we come to a great bit of narrator point of view as he explains the reality of good guys and bad guys. For the most part the characters here are going to be bad – really bad. It looks like parts of this novel are told in epistolary form – letters from one character to another. In Chapter 8 Becky writes such a letter to Amelia but she doesn’t tell all – and the narrator lets us know that. The Crawley “family tree” is complicated. Sir Pitt’s elder son, Rawdon, by his first wife, has a military commission and placement in India but he is also a gambler and a charmer – a regular “rake.” Sir Pitt also has two small daughters by his second wife, Rose, a commoner. Besides that he also has a younger brother, Bute a religious bounder, and an aging aunt, Miss Crawley, who really has all the money. There are others – but Becky makes friends with the important people – the ones with the money and the servants to keep them happy with her. Some of the Crawleys have been named for English politicians of the times – William Pitt, Sir Robert Walpole, John Churchill, King Charles I, Oliver Cromwell and Henry Dundas. 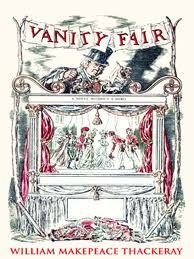 There are places Thackeray reminds me of Dickens – (I’m not alone) – Vanity Fair was originally published (serial form) in the same years as Domby and Son (one of my favorite books by the Boz). They were good friends, but also competitors. Specifically, the similarities within the book are the description of the legal cases Sir Pitt works on (does he go through Chancery?) and the odd and descriptive character names or how about the “Tape and Sealing Wax Office” (a government agency) and the “Quashimaboo Aid Society” (like something Mrs. Jellyby would support)? I’ll probably add to those. We have another eating scene here – in most novels when the characters sit down to eat together it’s a time of enjoyment, of breaking bread together, of setting aside any differences there may be for a communion of sorts. 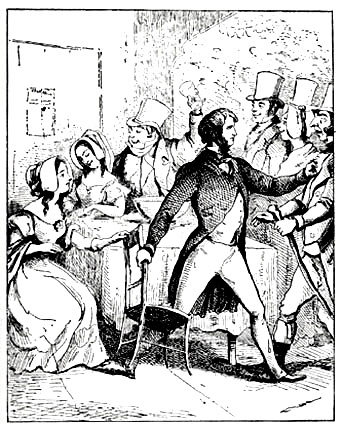 Not here – Sir Sedley’s meal is miserly and not shared (Chapter 7), the Osborne meal (Chapter 13) is cause for old Osborne to become very angry about everything and the rest of the group really stressed. And Becky becomes thoroughly entrenched in the Crawley family and beloved by them, especially of old Aunt Crawley who is ailing for a time and insists that Becky assist her. Then Sir Pitt arrives, a widower again and asks Becky to marry him – she replies that she is married already. – To whom? Why, to Rawdon, Sir Pitt’s brother, of course – the scoundrel whom Miss Crawley loves. Thanks to Napoleon re-emerging as a leader in France, Sedley’s fortune is gone. So the elder Osborne refuses to allow George Osborne to marry Amelia and Old Sedley is equally opposed. The trouble is that Sedley was a huge financial help to Osborne as he got his start. But now the Sedleys are ruined and their things are sold at auction. 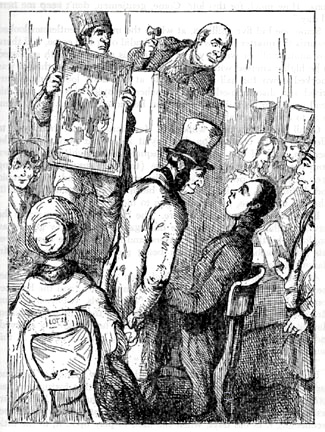 Dobbin ends up buying Amelia’s piano, while Rawdon gets the picture of the man on the elephant. Becky and Rawdon are very poor, but Rawdon is now happily married. Becky wishes for more money and is somewhat vengeful about the Sedleys. George and Amelia are broken up by their fathers and Dobbin really doesn’t like that – he loves Amelia and George is his friend. So he patches things up between them and they elope and move to Brighton – which is where Becky and Rawden have taken up living. They run into each other, of course. And just then the world breaks when Napoleon escapes from Elba, manages to get to Paris with a small army and marches on toward Belgium. The young men in our story are called to duty in Belgium – report in one week. Joseph is not called to war because his duty was in India. And Thackeray continues to instruct his readers about all manner of things from Napoleon’s doings to appropriate behavior for ladies. He does this in various ways. There are place where he frankly states he has full authorial powers, but at this point he informs us that he knows what Amelia wore to the wedding because Dobbin “informed” him. Too funny. So poor Dobbin then informs old Mr. Osborne who explodes, removes George’s name from the family Bible and changes his will. Dobbin returns to Brighton where the others are. Not only is Osborne there with Amelia and Rawden there with Becky, we have Jos Sedley (Amelia’s brother who has managed to make his own money with an India commission), Dobbin and a few others including the various rooming house staff and landlords. And on top of that, Miss Crawley, Miss Biggs and Mrs. Bute Crawley. 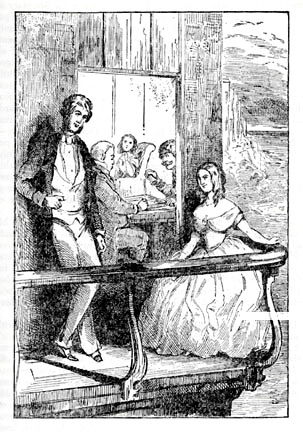 “The night before Dobbin came to join these young people-on the fine brilliant moonlight night of May-so warm and balmy that the windows were flung open to the balcony, from which George and Mrs. Crawley were gazing upon the calm ocean spread shining before them, while Rawdon and Jos were engaged at backgammon within — Amelia couched in a great chair quite neglected, and watching both these parties, felt a despair and remorse such as were bitter companions for that tender lonely soul” (Chapter 25). There seem to be two plot lines with the same theme – Miss Crawley has disinherited Rawden and Becky due to their marriage and refuses to see them. Mr. Osborne has disinherited George due to his marriage to Amelia Sedley and refuses to see them. In both cases it’s because the woman doesn’t have the money (Amelia) or the status (Becky) the disinheriters would want for their heirs. The heirs are as different as can be – Becky is a social climber, married Rawden for his money. Amelia is totally in love and would follow George whether he had money or not. Rawden and George are like Becky but they’ve never had to do without money so didn’t realize what effect their marriages would have. Dobbin is in it for his friends – a whole different kettle of fish. He is good and honest, he has enough money but not so much anyone would marry for it – he has no status and is in love with Amelia – for her goodness. The Major and Mrs. O’Dowd are introduced – he is the commander of Osborne’s regiment under Wellington, his wife is very Irish – not sure what to make of these two. Becky tries to arrange a reconciliation between Rawden and Miss Crawley – to no avail. Amelia tries to console George about his loss but George isn’t too worried as he thinks his father will change his mind. The whole group is transported to Belgium to fight Napoleon. The women, except Becky, are beside themselves with grief and worry. Becky counts her money and to us it’s pitiful but to her it’s just fine. She tortures Ameila emotionally and Amelia almost stands up for herself. Mrs. O’Dowd comforts her. Jos has stayed back to look after Amelia but he really needs someone for himself. The story focuses on the home-front, not the action at the front. What is known of the battles comes from a maid’s boyfriend who managed to escape his Belgian regiment when they were slaughtered. He reports that the English and the Belgians have been routed by Ney (Michael – Napoleon’s finest). Thackeray is pretty harsh on the French – as well he should be in all likelihood. Jos removes all his military looking clothing and goes out to the streets where people are milling and trying to leave, the Earl and Duchess of Bareacres included. Becky has the horses that Rawdon left but refuses to sell them – totally insulting scene. Then Jos offers to buy them but has to pay dearly. He leaves to find out that the Allies have won a battle. Amelia knows that George is safe, but that is only temporary because in very short order the Allies won the war (Napoleon is defeated at Waterloo) but Osborne is shot. Meanwhile in England (Chapter 33) Miss Crawley refuses to hear any good thing about Rawdon because he married Becky. It makes no difference that he received a promotion or that letters and trinkets were sent to her (really from Becky). Mrs. Bute is with her hubby so Briggs is in charge of Miss Crawley but can’t quite manage. The other Crawleys are going along as usual except it seems that Pitt Crawley, Rawdon’s elder brother, has established a long-term connection with Jane Sheepshanks of the Southdown family – very rich, titled and Old Miss Crawley likes that. And now, at Chapter 35, and half-way through, it’s pretty plain there are no really “good guys,” with the exception of the O’Dowds and possibility of Jane Southdown whose true colors remain to be seen.